Can you believe it?????? ?....almost the end of July!!!!! today is a gorgeous, hot sunny day, and I mean hot. I mowed the lawns early this morning...before the grass was even near dry. We are expecting thunder showers anytime...so, I got out early and finished it. Ok, to the business at hand....pillow challenge! This month our expert is Paula Reid...if you don't know Paula, you got to look her up. I have her DVD called 'Fluff and Stuff'...so that is the option I went with this time around. 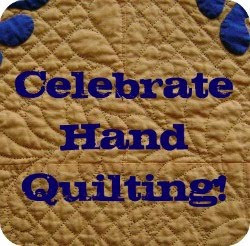 Paula covers a lot of territory in this video, but she focuses on tracing stencils to follow with your machine needle. I always had a hard time following a line! This time...not!!! I enjoyed each minute of it!!!!! This pillow is quite similar to an earlier one I did, but it was free hand. So, here we go....starting my pillow. then, I added some fillers to finish it off...stippling in the Center and meandering around the outside of the feather. I like!!!!!! Your pillow is lovely. FMQ is great. Fantastice Marjorie , very well done . Really nice, Marjorie! Your pillow is beautiful! So pretty and even. Love your pillow. 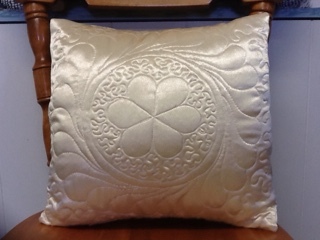 Very pretty pillow, bravo ! Beautiful! 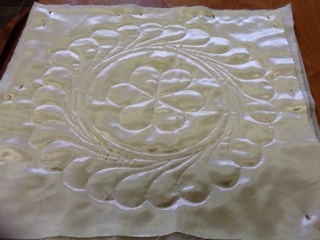 The quilting shows up wonderfully. This is so beautiful! 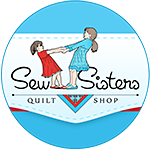 I love the quilting and need to take a go at FMQ. Nicely done, Marjorie! The pillow looks elegant! 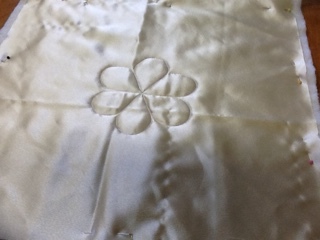 It's beautiful Marjorie, what fabric did you use and did you find it easy to work with? A Chance to Win Big!!!! !